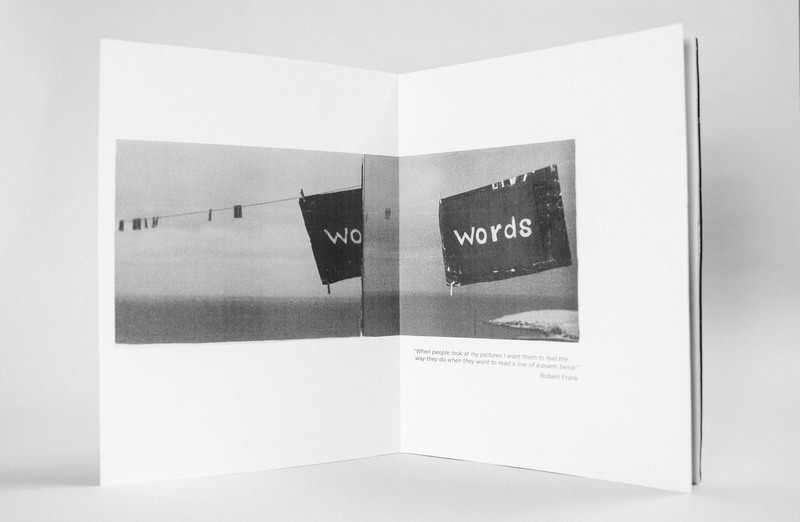 I was tasked with creating a printed work that incorporated a large body of text and images about a living artist of my choice. 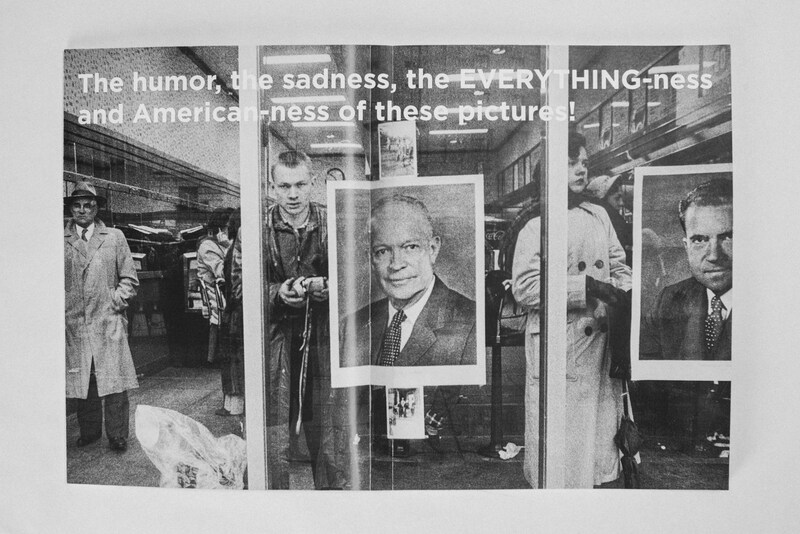 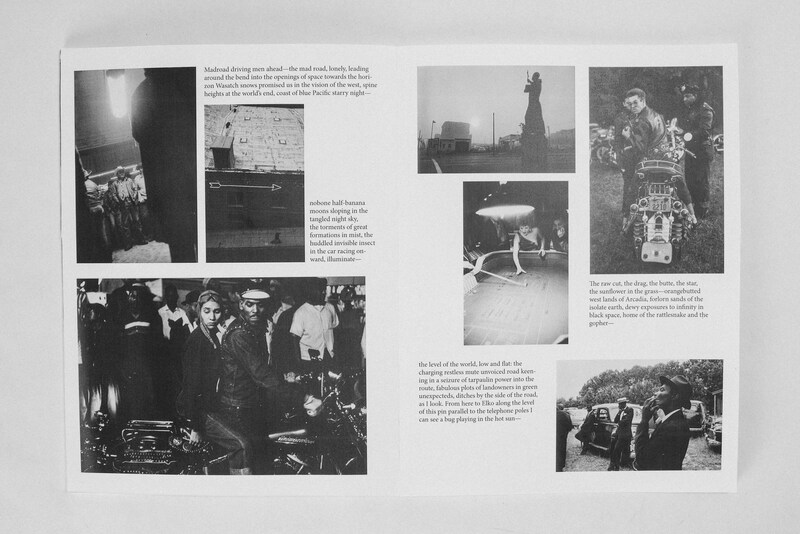 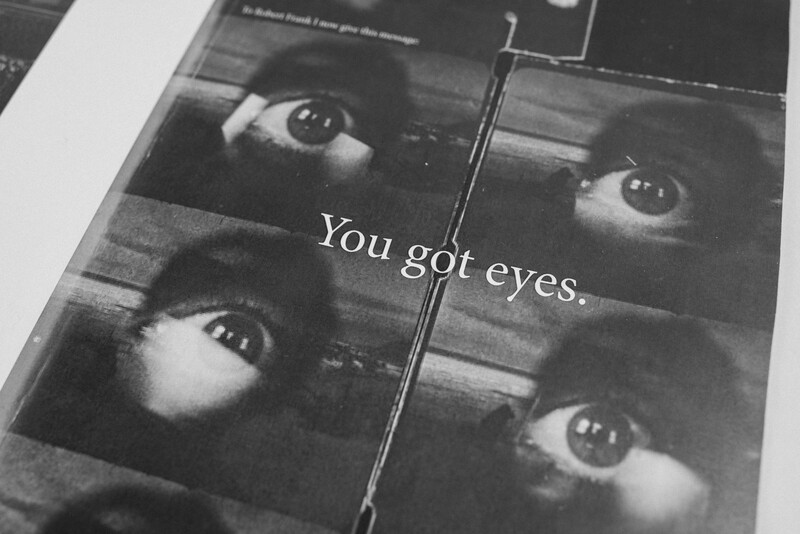 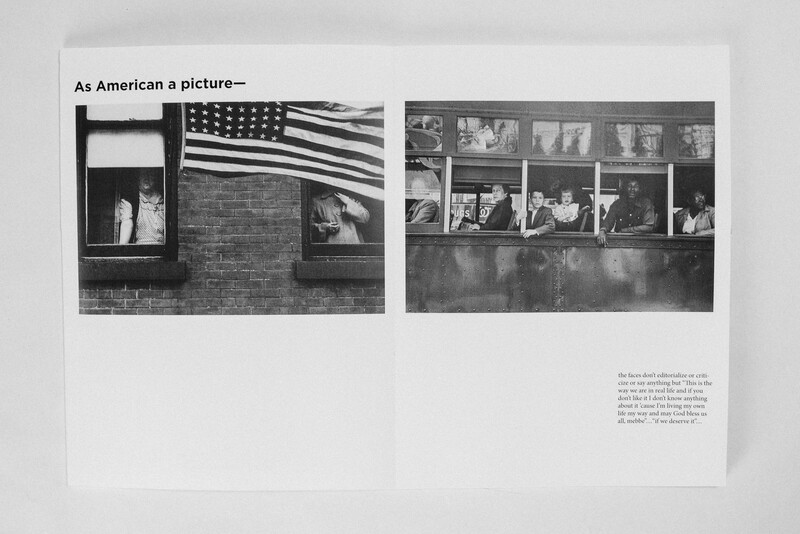 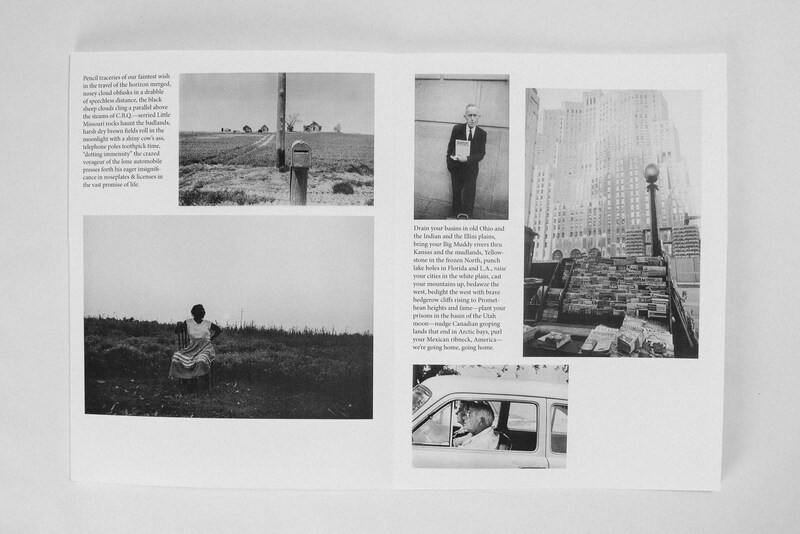 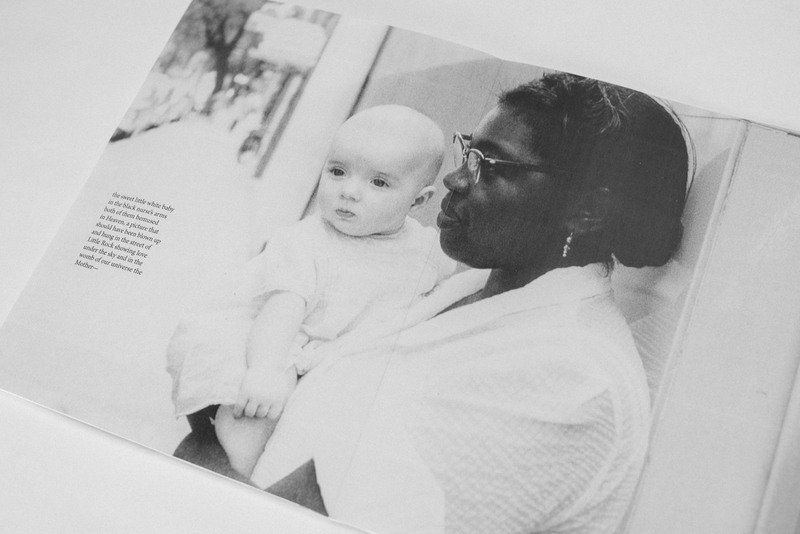 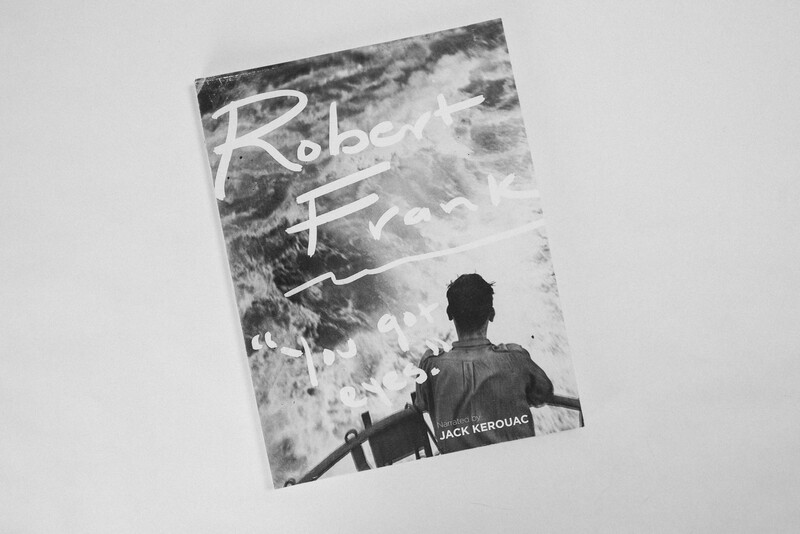 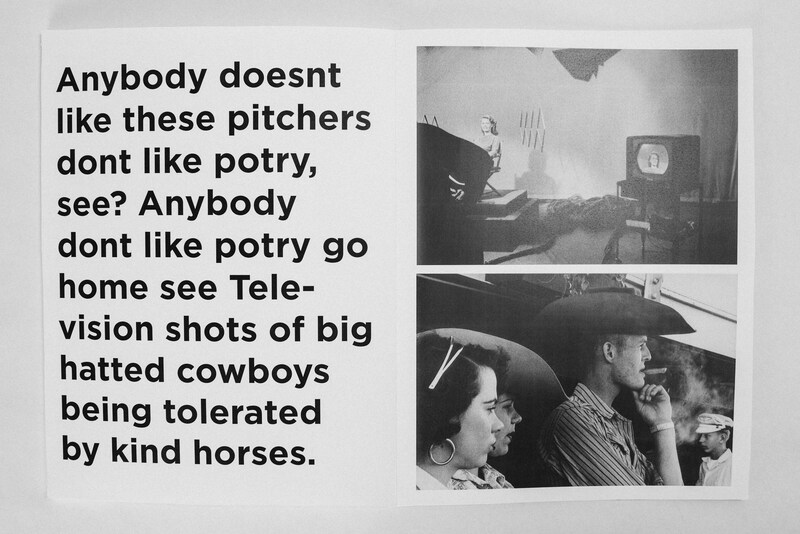 I designed a 40-page spread using Robert Frank’s photography from his seminal work The Americans and paired it with the poetic introduction to the same book written by Jack Kerouac. 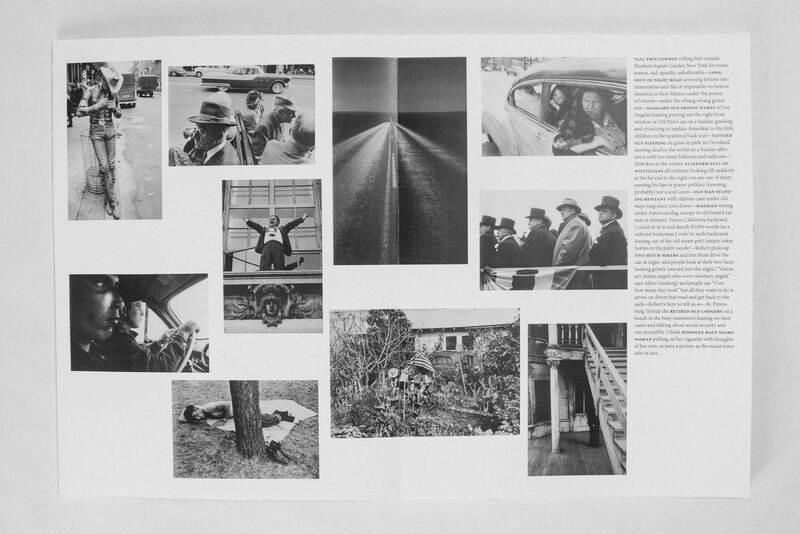 I selected and re-organized the imagery from the book to match the vivid descriptions of Frank’s work Jack Kerouac wrote in the intro. 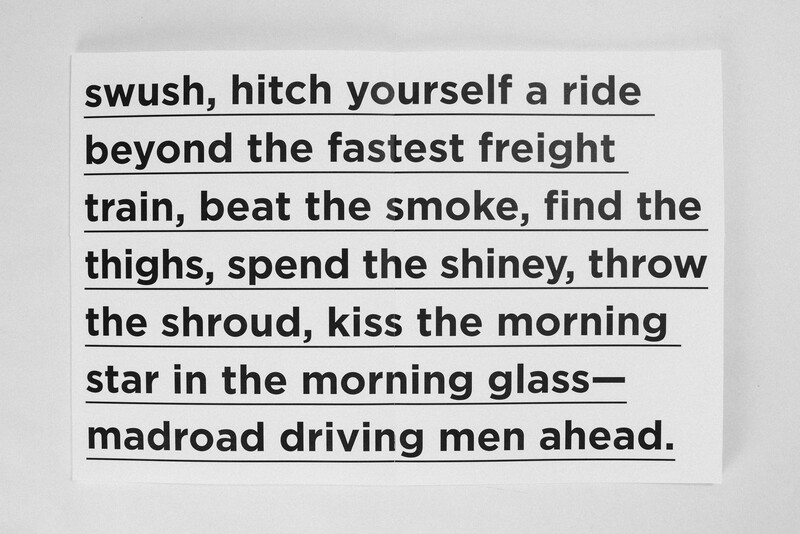 I wanted the Kerouac’s words and the imagery of the type to play a prominent role in the design of the book, as Frank’s visual style is often described as poetic, and was heavily influenced by the beat poets of his time.